This 25 hour intensive is a strong complement for a current yoga teacher of any style or a springboard for the student who is ready to take the leap into a broader perspective and fuller appreciation of the practice of Hot Yoga. Gain the knowledge and skills necessary to teach and practice various lengths of Hot Yoga classes. This comprehensive training includes instruction on yoga philosophy, postures and sequences, anatomy and physiology and teaching methodology. 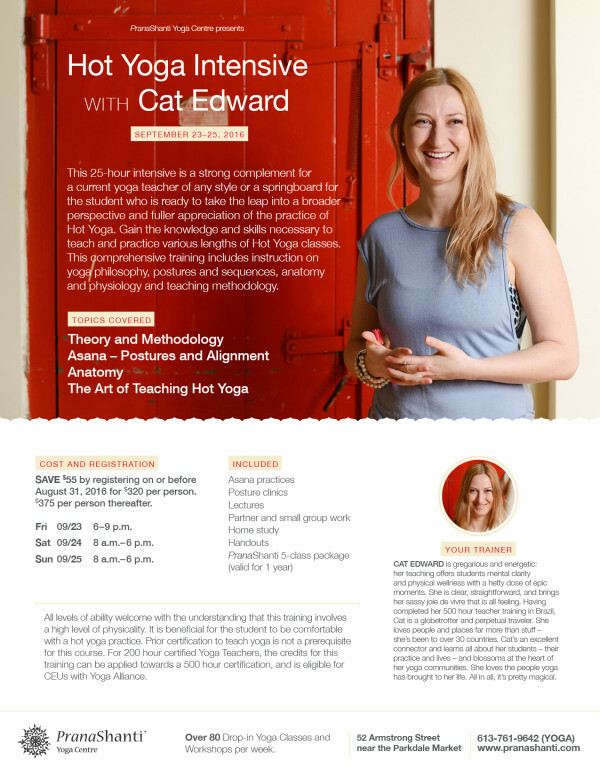 Cat Edward is gregarious and energetic: her teaching offers students mental clarity and physical wellness with a hefty dose of epic moments. She is clear, straightforward, and brings her sassy joie de vivre that is all feeling. Having completed her 500 hour teacher training in Brazil, Cat is a globetrotter and perpetual traveler. She loves people and places far more than stuff – she’s been to over 30 countries. 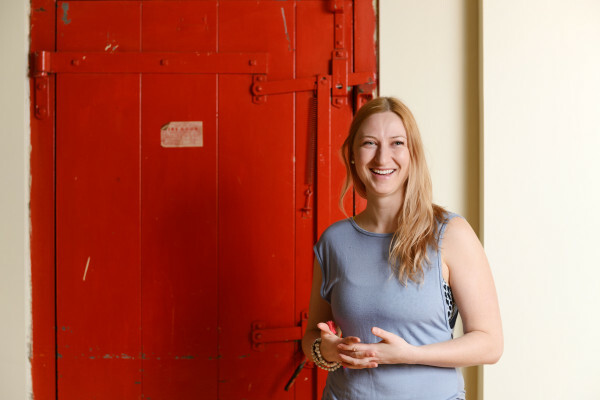 Cat’s an excellent connector and learns all about her students – their practice and lives – and blossoms at the heart of her yoga communities. She loves the people yoga has brought to her life. All in all, it’s pretty magical. SAVE $55.00 by registering on or before August 31, 2016 for $320.00 per person. $375.00 per person thereafter.